Bike4Life raises over $70,000. Thank you! When will we see separated bike lanes in Boston? We are excited to announce that you helped us raise over $70,000 through our Bike4Life fundraiser! This outdoes last year's total by 38%. Bike4Life supports our Safer Streets Campaign. The campaign's focus is to deepen Boston's commitment to safety and to advocate for better infrastructure - such as cycle tracks and improved traffic signalization - to allow people to confidently explore the city on bike, foot, car and public transit. Thanks again to our sponsors and community partners: Jason & Fischer Attorneys at Law, Blue Cross Blue Shield of Massachusetts, athenahealth, Avison Young and Blue Ribbon BBQ, Commonwheels Bicycle Co-op, Harris Cyclery, LARABAR, Patagonia Boston and Red and the Boys, as well as a big thanks to Holly, Peter and Noel Zeeb. part of the I-90 project. and advocacy to make West Station possible. "This is so much more than a highway project," said Mayor Walsh at the press conference. This announcement solidifies the fact that the I-90 project parcel will be developed around transit, meaning the new street network can be very bike, walk friendly with more open space opportunities. Boston is about to spend $16 million to completely revamp the stretch of Comm. Ave. from the BU Bridge to Packards Corner. The plans we have seen call for wider car lanes that would encourage speeding, narrower sidewalks, and no protected bicycle lanes. "So the question is whether the Walsh administration and BU are going to step up and say, '[Do] we want the best and safest for our students and for the city of Boston, or are we going to settle for the status quo?'" says LivableStreets Advocacy Director Jeffrey Rosenblum in an article in BU's Daily Free Press. But there is still time to make a difference. Click here to add your name to the list of people who want better than status quo, and tell Mayor Walsh you want a #SaferCommAve. We will be meeting with the City of Boston in the coming weeks, and will have the opportunity to share your stories. The vision for a better Commonwealth Avenue is part of our Safer Streets Campaign and commitment to zero traffic fatalities. Read more about our vision and recent press received here. On November 4, statewide ballot question Question One, threatens to take away critical, existing transportation funds. These are funds that are necessary to make our roads and bridges better for everyone. 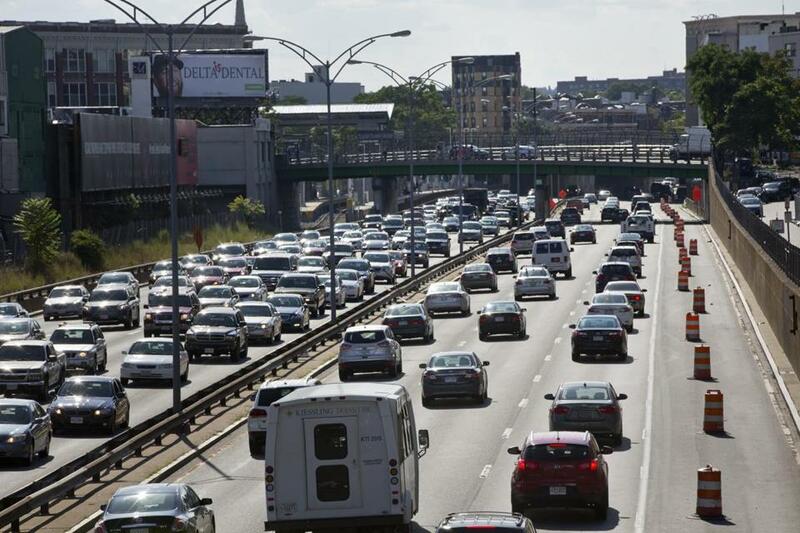 "If it passes, Question One would take a $2 billion bite out of the state's transportation plans over the next decade," Yvonne Abraham wrote in her Boston Globe article. According to the Federal Highway Administration, there are 5,136 bridges in Massachusetts, 53% of which are either structurally deficient or functionally obsolete. Question One proposed a reduction in vital transportation funding which would exacerbate this problem and others. Vote NO on Question One on November 4th. Email Jackie@livablestreets.info to get involved with the campaign between now and November 4t. Follow and participate in the campaign on Twitter at @VoteNoOnQ1 and#VoteNoOnQ1. Spread the word to your friends, neighbors, family and colleagues by forwarding this email. Mark your calendar to vote No on Q1 on November 4. Protected bike lanes, or cycle tracks, have multiplied across the country, so when will Boston jump on the bandwagon? New York City, San Francisco, Washington DC, Philadelphia and Pittsburgh have installed hundreds of miles of lanes over the past few years due to the variety of benefits they bring to their cities. "It's healthy, it's good for the economy, and our citizens," said Philadelphia's Mayor Nutter. Mayor Nutter's street safety policies are "starting to drive down both vehicle and pedestrian crashes, as well as cycling crashes," he said in Streetsblog's article "Four Mayors on Why They're Building Out Their Cities Bike Networks." Separated bike lane in Pittsburgh. In addition to mayors across the country praising separated bike lanes, Boston's Jim Braude of Boston Public Radio and WGBH, endorsed them in his Boston Globe article, "A plan to broker peace between drivers and cyclists." He proposes the answer to creating peaceful coexistence betweent people driving and biking is "separate but equal, the type of bike lane that incorporates barriers between driver and rider for the safety of both." "Boston already has two. Over in Brighton, drivers on Western Avenue use the road, while cyclists pedal between parked cars on one side and the curb on the other. In Dorchester, on Mt. Vernon Street near Columbia Point, flexposts, as they're called, separate driver from rider. Of the 82 miles of on-street bike lanes in the city, these pilot projects run less than 2 miles, though that's about to change," said Braude. Right now Boston only has two, but we are excited to see that number multiply. In March of this year, Boston was selected by the PeopleForBikes Green Lane Project as one of six US cities to join its intensive two-year program to build protected bike lanes, which shows the potential Boston has to implement these facilities. Boston will receive financial, strategic and technical assistance to create protected bike lanes, also known as cycletracks. PeopleForBikes recently hosted a study tour to the Netherlands with City of Boston staff, including Boston Chief of Economic Development Jon Barros, President and CEO of A Better City Rick Dimino and Kris Carter from the Mayor's Office of New Urban Mechanics. With the study tour group returning, mayors across the country proclaiming their praise for cycle tracks, what's the hold up on Boston approving separated bike lanes to make our streets safer for everyone? Comm Ave is one example where resistance is being met. The time is now to turn talk into action. Tweet to @Marty_Walsh telling him you support more separated bike lanes in Boston to make our streets safer for everyone. "The bad driving of Massachusetts residents is legendary. Now, Allstate Insurance Co, says it's a fact,"
"Mass. drivers among the worst, insurance company says." Worcester has the worst drivers in the nation, followed by Boston, the second worse. Ouch. What does this mean for us? Better street design leads to slower driving and increased safety for all road users. We have a vision for a future with zero traffic fatalities. Click here to lean more about our Safer Streets Campaign and Vision Zero policy ask. Throughout 2014, we have been debunking common transportation myths. Last month, we highlighted the myth: Wider streets are safer. This month, we explore another popular myth. Debunked: Well designed bicycle facilities can improve driving conditions while creating a safer environment for all road users. Thoughtfully designed protected bicycle facilities in New York City show that you can provide bike improvements while also improving streets for people driving, walking and taking transit. A new study from NYC DOT shows that safety for all road users has increased, travel times have either stayed the same or improved, and there has been an increase in retail sales compared to streets and corridors without protected bike lanes. Read the Protected Bicycles Lanes in NYC by NYC DOT. Next stop in our living car-light series is South Korea! Living carlight experiment: one neighborhood, one month, no cars. "September 2013 has been an unprecedented experience for the residents of Suwon's Haenggung- dong neighborhood. Through the EcoMobility World Festival, the ancient core of Suwon has learned through direct experience the challenges and the thrills of closing the doors of their community to cars for an entire month. Following the smashing success of Suwon's month-long car-free diet, residents are now prompted with the questions: should they reunite with cars or should they embrace the ecomobile lifestyle for good? Which next city is bold enough to follow Suwon's EcoMobility model?" Attend and speak up for improved public transit access,separated bike lanes on key roads and improved sidewalks throughout.